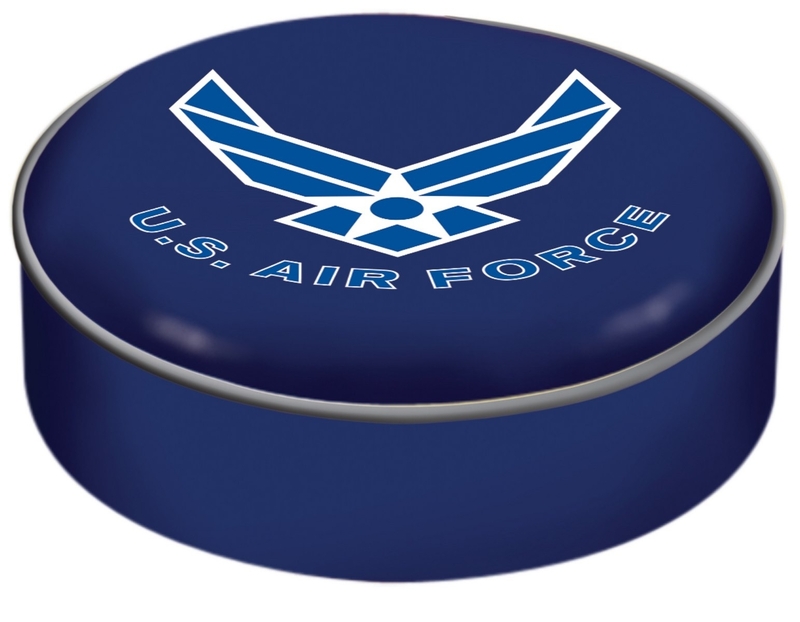 This U.S. Air Force bar stool cushion cover is hand-made in the USA by Covers by HBS; using the finest commercial grade vinyl and utilizing a step-by-step screen print process to give you the most detailed logo possible. This cover slips over your existing cushion, held in place by an elastic band. The vinyl cover will fit 14" diameter x 4" thick seats. This product is Officially Licensed. Make those old stools new again while supporting your team with the help of Covers by HBS!